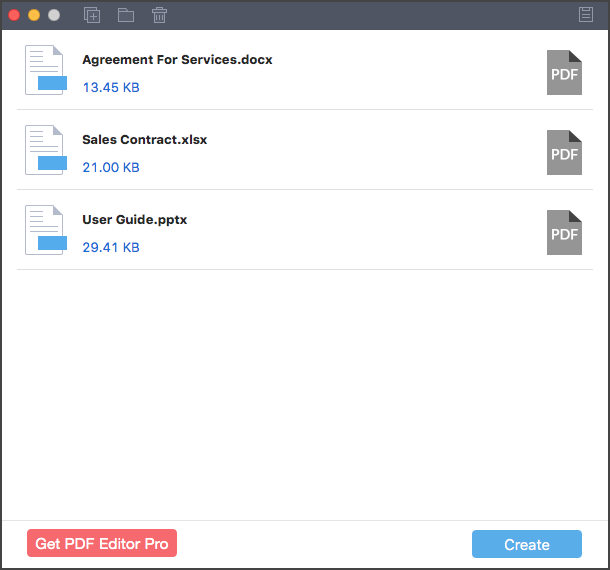 PDF Creator for Mac fully supports Mac OS X 10.7, 10.8, 10.9 (Mavericks), 10.10 (Yosemite), 10.11 (El Capitan) and 10.12(Sierra). You can simply download the program from the product page. After download the program file, install the program by dragging the program file to the "Applications" on your Mac. It will finish the installation in seconds. Note: It comes with trial version and full version. 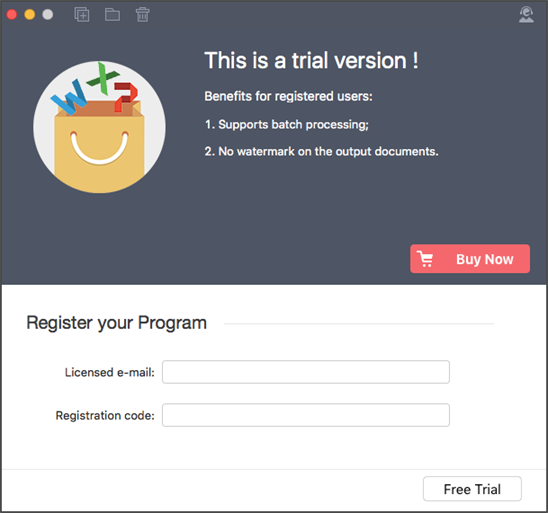 You can free download the trial version and try out to create PDF with 1 file at a time, and the output will come with watermark. 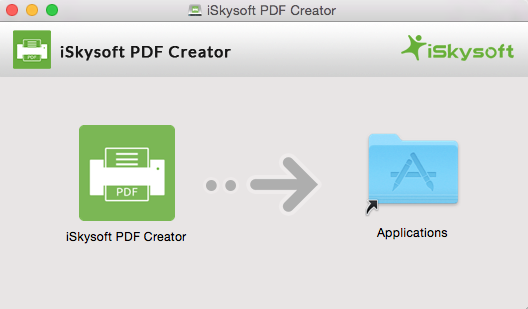 So to enjoy the advanced feature of PDF Creator for Mac, just register to the full version. After the installation, you can directly double click on the program icon to launch it. 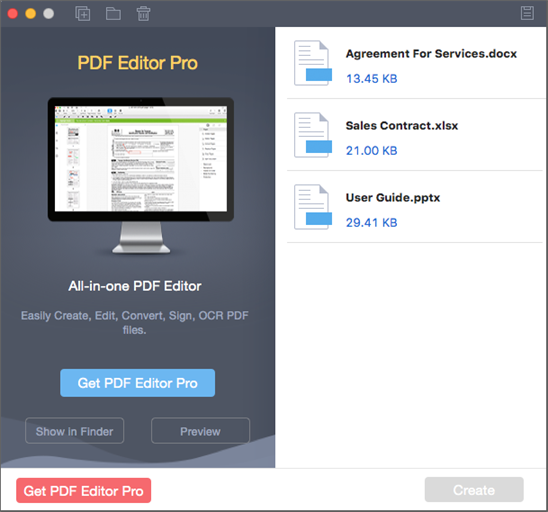 It is easy to create PDF from Word, Excel and PowerPoint with this Mac PDF creator. 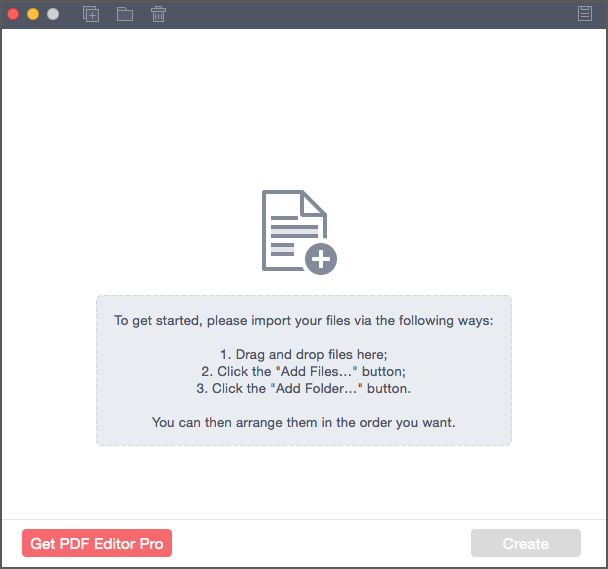 Even for a technical newbie, you can handle the PDF creation as easy as a breeze. There are 3 ways for you to upload Word, Excel and PowerPoint files to the program. You can directly drag and drop the files or folder to the main interface. And you can click "Add Files" or "Add Folder" to choose the files and import them to the program. After importing the files, click the "Create" button at the bottom right corner of the program interface. And set a destination folder to save the output PDF file, and then click "Save" to start the conversion. 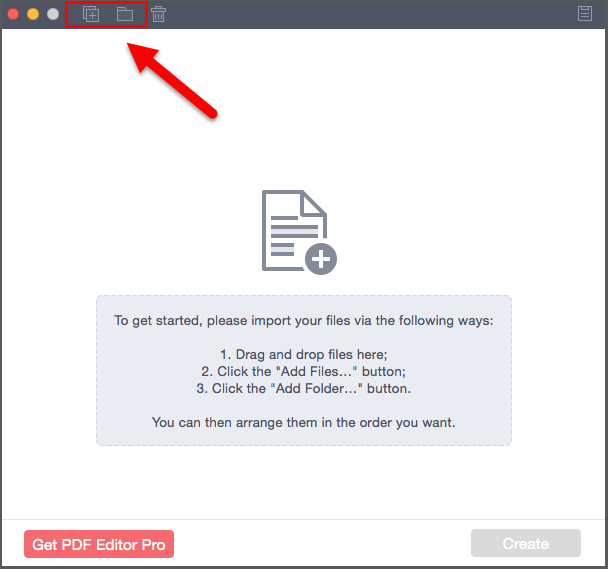 When the conversion is finished, click the "PDF" icon and select the option of "Show in Folder" to find the output PDF files. And then you can open the PDF files with Preview to view and check the files.